A big, bright 2.4″ screen and tactile, well-spaced keys make the Nokia 206 Dual SIM a joy to use. It looks good too, combining clean, elegant design with a choice of striking colours including cyan, magenta and yellow. 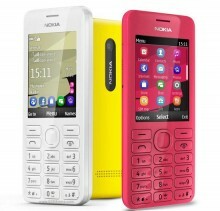 With the Nokia 206 Dual SIM fun is never far away. Some of the hottest games around are included for free, including Bejeweled, Need for Speed Shift and Medal of Honor. It also comes with Tunewiki Social Player and the Pictelligent camera app. To help you put that large 2.4″ screen to good use, the Nokia 206 Dual SIM comes loaded with the Nokia Xpress Browser. More efficient than other browsers, it lets you enjoy an easier, more enjoyable and more affordable internet experience. 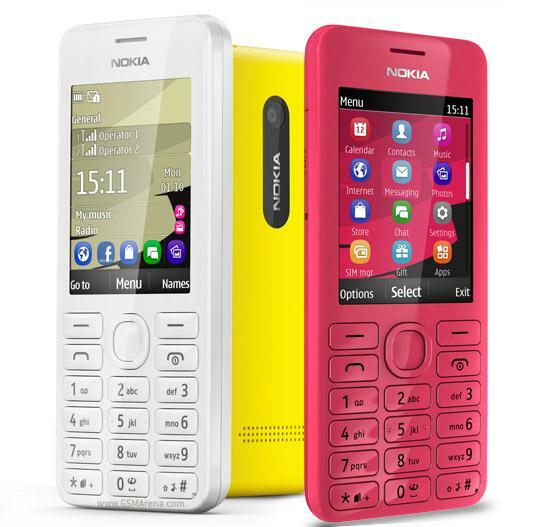 Click the button below to add the NOKIA 206 DUAL SIM to your wish list.